To obtain the highest quality seismic data, it is desirable to ensure that the output of the sensor-digitiser system is as close to zero as possible when there is no ground movement. This is especially true for accelerometers, which are capable of measuring constant (i.e. zero-frequency) acceleration. The output of any sensor can drift over time, especially immediately after installation when it is not yet in thermal equilibrium with its surroundings. For all these reasons, it is important to be able to adjust the output of the system accordingly. There are several points in the system where an offset can originate, and the methods for zeroing each type of offset have different side-effects. Because of this, it is important to be aware of the differences between them. To minimise unwanted effects, offset compensation should always be carried out as close as possible to the point in the system where the offset originated. Most obviously, a tilted accelerometer will register a constant DC level because the acceleration due to gravity is not aligned with the sensor axes. Likewise, the mass position outputs of a velocity sensor will be offset if it is not level. 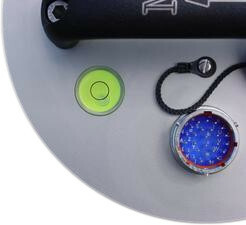 Guralp Systems’ sensors are all equipped with bubble levels to help minimize tilt. Borehole sensors are generally supplied with a built-in inclinometer, whose outputs can be read with a supplied inclinometer monitor unit. When an instrument is installed in a newly-dug pit or vault, the ground beneath the sensor takes some time to relax to an equilibrium position. For this reason, it is advisable to check the tilt of the sensor periodically in the days after installation. 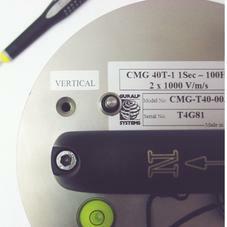 Adjustable feet are provided on all Guralp surface sensors, including the 3V surface mounting. These can be used to compensate to some degree for a non-level surface. Autonomous instruments, such as ocean bottom systems, generally include special mechanisms for maintaining a level sensor. If a borehole instrument shows signs of tilt when locked into the borehole, it cannot easily be adjusted, since its position is constrained by the geometry of the borehole. Occasionally the tilt can be rectified by moving the sensor to another part of the borehole. If this does not solve the problem, the offset will have to be compensated for using one of the methods below. Even with a level sensor, the positions of the sensor masses can drift over time. This is particularly common effect of changes in temperature, and is most often observed when a new installation is commissioned, as the instrumentation needs to reach thermal equilibrium with its surroundings. Güralp 3-series velocity sensors, as well as the 6TD, include centring motors which can reposition the masses when a command is received from the digitiser. The CENTRE command can be sent directly from Scream! or through the digitiser console. Medium- and strong-motion instruments do not have a mechanical centring mechanism, but any offsets arising from non-centred masses can be compensated using potentiometers within the case. 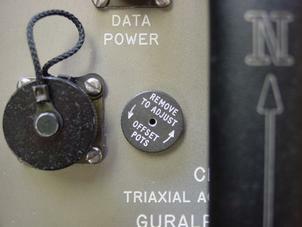 5T and 5TD instruments have a set of three potentiometers accessible beneath a screw cap on the lid. 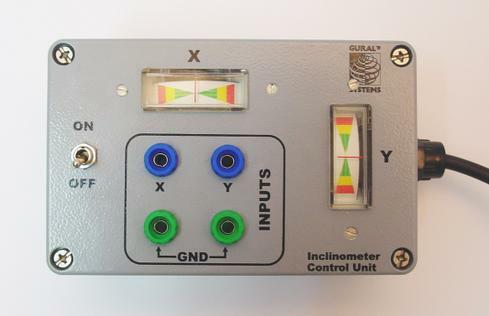 5U single-axis instruments have a single potentiometer behind a screw cover on one side. 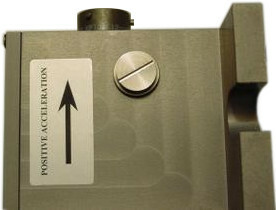 40T and 40T-1 instruments have three separate screw covers on the lid, each of which gives access to the potentiometer for a single component. Other sensors, including digital sensors, generally require you to remove parts of the casing to reach the potentiometers. Contact Guralp Systems for assistance if you are unsure how to do this. The Guralp DM24 digitiser can apply an offset correction to streams as they come in. An advanced command, O/SNULL, is provided to allow you to do this. The command can only be executed from the digitiser terminal. Each component can have its own separate null value. Because the digitiser offset is applied after the initial digitisation step, applying an offset will cause the clip level of the digitiser to differ from one side to the other. For this reason, you should use the digitiser offset facility with caution, and only if the sensor’s own zeroing capabilities cannot be used. For technical reasons, Guralp Systems’ 5TD digital accelerometer is supplied with an existing O/SNULL value of about 75,000 counts for each component. You should only need to alter this in the event that the CMOS RAM inside the digitiser becomes corrupted. Guralp Systems’ Scream! software package allows you to shift streams by an arbitrary amount, either in counts or in physical units, when you view them in a Waveview window. To see the current offset for a scream, right-click on it and select Details…. A small window will appear beside the stream giving the current offset, mean, maximum and minimum values for the data in the window, in counts, together with the Diff (difference between minimum and maximum values) and Buffer (storage space taken up by this stream in memory). To alter the offset of a stream, type a new value (in counts) into the Offset box and press ENTER. You can do this even if the stream is locked. The offset is changed for the current Waveview window only, and cannot be saved. The most common use of Scream’t offset facility is to move out-of-centre data into the visible area of the window. The Waveview window provides a Zero streams icon which automatically calculates a suitable offset value for all streams in the window.